Coverage extends from Orbost and McKillops Bridge to Cann Valley Highway and Tamboon Inlet. 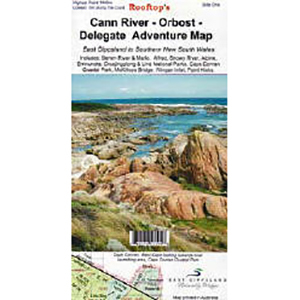 An inset map on the reverse side covers the coastal access from Cape Conran to Wingan Inlet including Point Hicks, Sydenham Inlet (Bemm River) and Tamboon Inlet. Inland the map includes Delegate, Bonang, Bendoc, Goongerah, Combienbar, Cabbage Tree Creek, Bellbird Creek, Glen Arte, Murrungowar, Errinundra National Park, Club Terrace, Tubbut, Deddick etc. 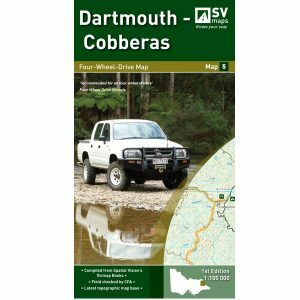 Inset maps on the reverse side include:Sydenham Inlet Access Map; Tamboon Inlet Access Map; Huts & Waterfalls – Far East Gippsland; Cape Conran Coastal park & Camping Area; Attractions Around Bendoc; Neville Falls – Princes Hwy Map; Suggan Buggan – Willis Map; Coastal Access Map: Cape Conran – Wingan Inlet. This could well be the best Rooftop Map yet! !